As the enterprise moves to the post-perimeter era, Appurity are advising customers how, by adopting a zero-trust policy, they can secure and protect their data and endpoints regardless of location. Appurity’s solutions for critical mobile security services in the legal, financial and commercial sectors are designed to build a continuous assessment of trust, from an assumption of zero trust. 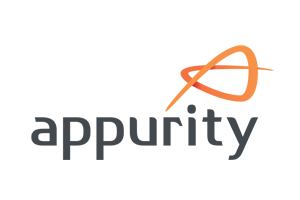 As an iManage Technology Partner, Appurity have developed an Android app that provides connectivity to iManage and includes features such as send and file, open NRL and file from inbox. iOS is also planned for 2019. In addition Appurity now provide the “Oriel” BlackBerry Workspaces to iManage connector. Documents stored in iManage can now be sent to external recipients, securely encrypted and with DRM applied; whether in transit, at rest or in use. File activity is audited and restrictions can be applied such as permissions to download, edit, copy, print or share. Appurity are cross-platform mobility specialists, as recognised by our partnerships with the industry leaders: Cylance, Lookout, BlackBerry, MobileIron, Check Point, Apple Consultants Network, Google (Android Enterprise), Samsung SEAP and Aerohive.